April was Earth month but did you know during April, Corrosion Awareness Day also occurred? While this date isn’t as well-known, preventing corrosion is an important way to help the environment and conserve natural resources. Whether you are a civil engineer overseeing infrastructure, a quality-control manager at a metalworking facility or have a nice set of tools you don’t want to rust, corrosion affects you. Corrosion is the natural process of a refined metal returning to a more stable state such as iron-oxide commonly known as rust, but we don’t have to accept it. Corrosion can be prevented and controlled to reduce wasted resources and extend the service life of assets. Many studies have been done on the cost of corrosion. 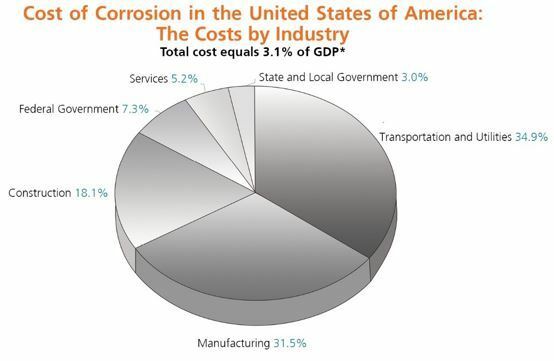 A frequently cited study was commissioned by the Federal Highway Administration, their investigation calculated that the direct and indirect costs of corrosion add up to 3.1% of GDP across all industries. In 2016, US GDP was US$ 18.56 trillion, tallying the cost of corrosion to be US$ 575 billion. The World Corrosion Organization, a group dedicated to raising awareness about corrosion around the world, calculated that in 2016 corrosion costs reached US$ 2.2 trillion worldwide. These costs include not only the corroded item but the cost to rework it, the loss of revenue and the cost of reliability issues. It is not just corroded metal items that get wasted. One of the industries most affected by rust is transportation and utilities. 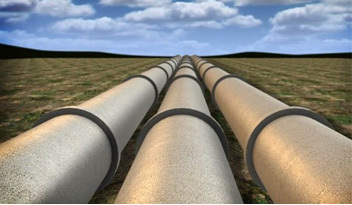 Corroded pipelines cause costly leaks and spills that can potentially pollute the environment and waste resources. Another industry heavily impacted by corrosion is the manufacturing industry. 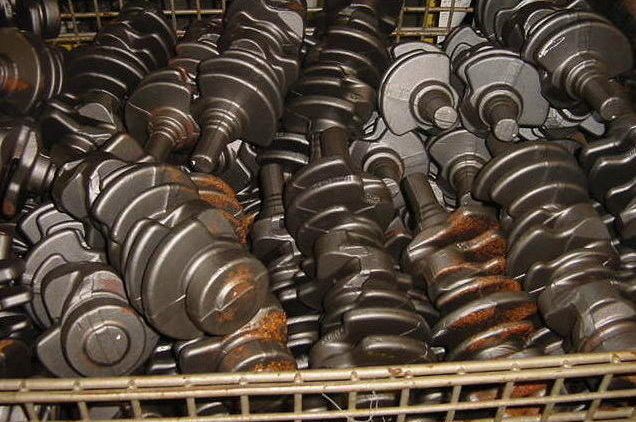 Corrosion, scrap, and rework can be up to 30% of product cost. The indirect cost of corrosion can be an additional 15% of product cost due to the maintenance of extra inventory, lost freight, warehousing, repacking and handling, production halts, air freight charges, personnel, etc. The good news is corrosion is preventable and the cost of corrosion on profits and the environment can be lessened. Prevention methods include temporary and permanent coatings, dessicants , and specialized packaging such as VCI (Volatile Corrosion Inhibitor) wraps and diffusers. Corrosion prevention has advanced in safety and ease of application. Corrosion inhibitor packaging can be reusable and recyclable. Water-based corrosion preventative liquids are now available. Also, corrosion and packaging engineers can design a management system that reduces the root causes of corrosion. These steps can reduce the need for using rust inhibitors by instead controlling humidity in warehouses or reducing corrosive contaminants in metalworking fluids. Contact Zerust today and reduce the impact of rust on your bottom line and the environment. You may also find out the true cost for yourself by using our corrosion calculator.